In this post, you'll learn about making something online for free that support Community Safety. 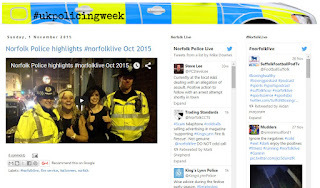 In this case, Norfolk Police UK made one tweet with a slide on 28 Oct 2015 at 7am. Sgt Joe Simon said, Me + @RPFOUSgt will be broadcasting live on patrol via @periscopeco on Fri 30th and Sat 31st. 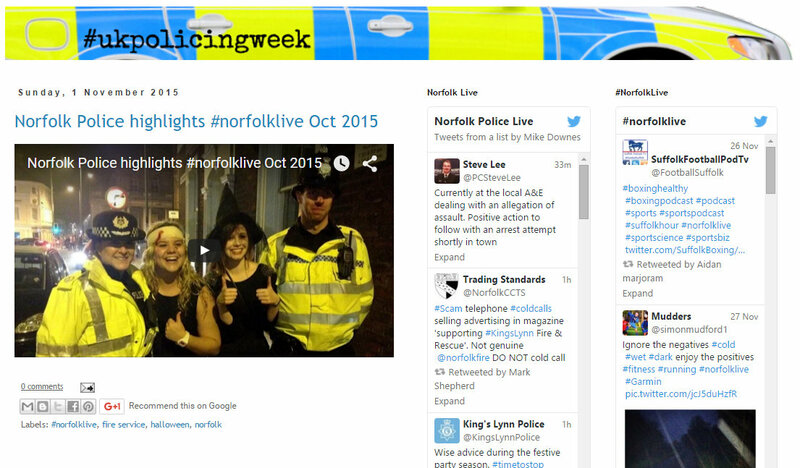 Follow #NorfolkLive. 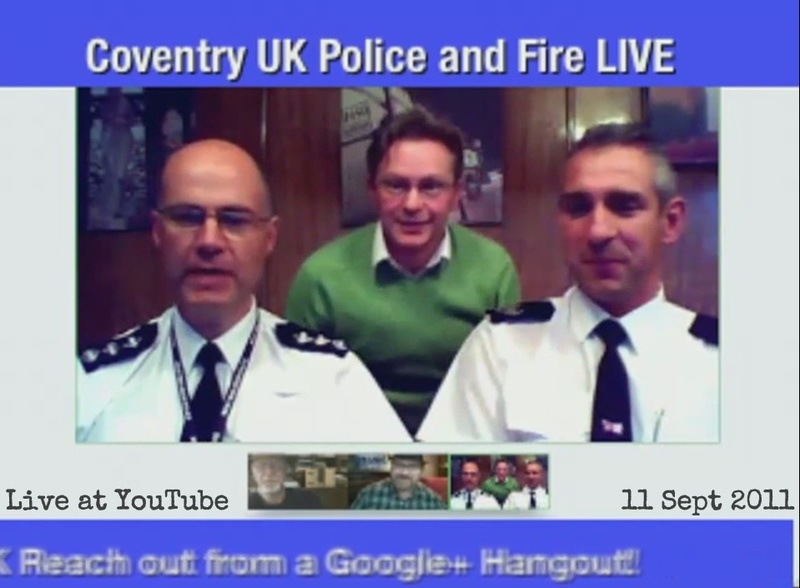 It's December 2015, four years and three months from when Supt Kerry Blakeman and Commander Simon Shilton invited me to Coventry Police Station to learn about Google+ and Live Video at YouTube. Having watched back the clip today, it's a timeless piece of work. I have no hesitation in recommending anyone in Policing and Community Safety to take the time to watch.